In general, I love October, why? Because it is the time when people put their most creative, scariest, prettiest, and even hideous makeup you could imagine. Hahaha, since for me there was no special time for applying those thematic makeup look, I kind of running out of idea this month. Anyway, I wanted to make Poison Ivy makeup since a few month ago, but I kind of confused which Poison Ivy makeup look I should created. If you googled about Poison Ivy makeup look, you could find the Batman version, the Kim Kardashian's version and some other versions. I skip the foundation tutorial step, because I just applied foundation, concealer and face powder. That's it, nothing really special from the makeup base of this look. - On your crease, apply green eyeshadow. 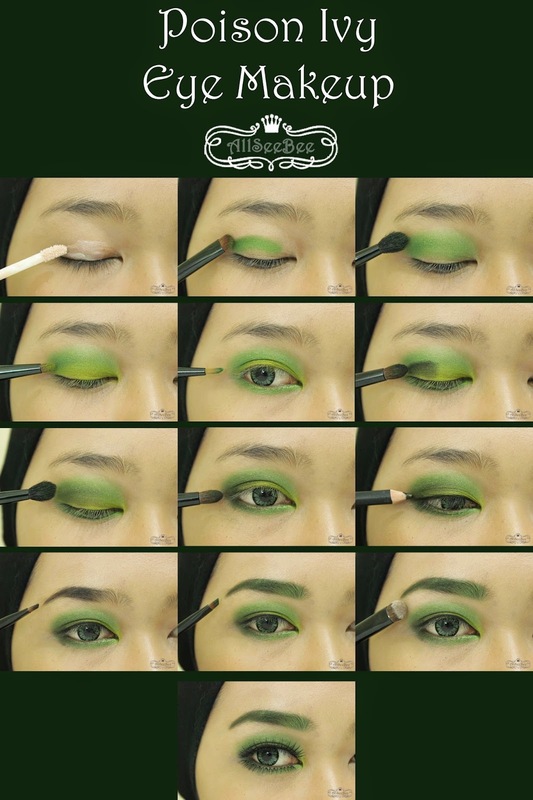 - Blend the green eyeshadow with blending brush. - On your eye lid, apply green-yellow eyeshadow. - On your lower lash line, apply the green eyeshadow. - Back to your crease area again, apply black eyeshadow. - Then blend the black eyeshadow by using blending brush. - With the same black eyeshadow, apply it to the outer corner of your eye. - Line your lash line with eyeliner pencil. - Draw your eyebrow with black eyeshadow, start from the middle to the end. - Fill the rest of your eyebrow with green eyeshadow. - On your brow bone, apply white matte eyeshadow. - Last, add fake upper and lower lashes to finish your eye makeup. After the eye makeup, I contour my nose with the same green-yellow eyeshadow that I used on my eye previously. I also apply the green eyeshadow around my face and draw some veins-branches with the same eyeshadow color. I used Queen Twilight for the upper lashes and Perfect Dream for the lower lashes. 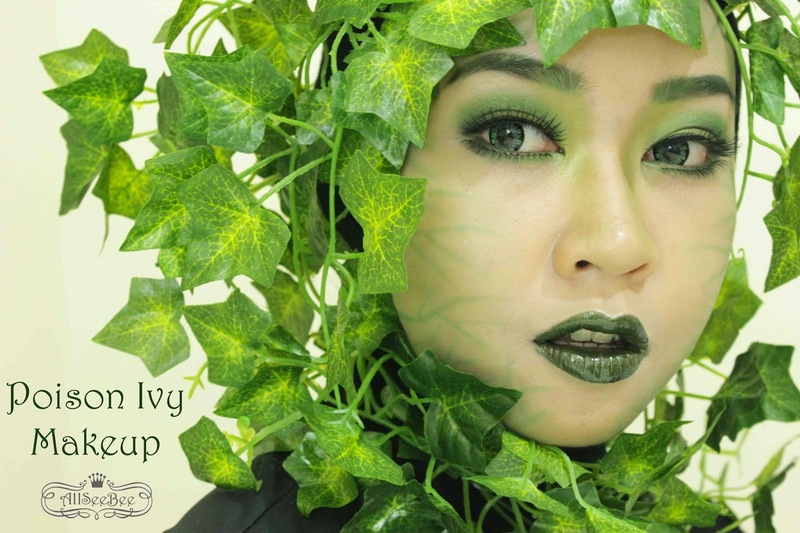 I love greennnnn >_< ijonya kerennnnnnn banget dilll,, mauuuu :( Totally amazing (^^) good job dear. SELALU SUKA DENGAN MAKE UP NYA!!!!! FIX! IM YOUR FAN!